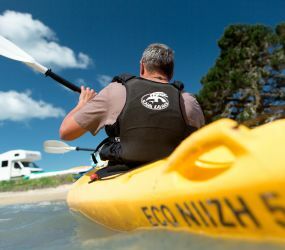 If you’re travelling by campervan, a visit to New Zealand's renowned southern playground is an absolute must. Queenstown is an exhilarating, year-round alpine resort. 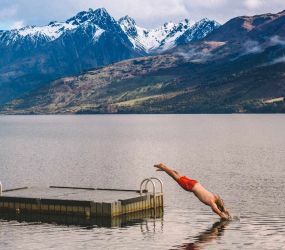 It’s no surprise Queenstown has earned the reputation as the ‘adventure capital of the world’ with a huge number of activities and adventures to enjoy, from bungy jumping to jet boating, not to mention the spectacular scenery. 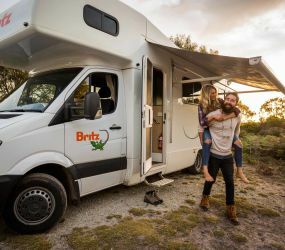 Hire a campervan in Queenstown from our local Britz branch. Check out what to see and do around Queenstown and beyond by visiting our Destination New Zealand section.​ You can also kick off your itinerary planning by using Roadtrippers. 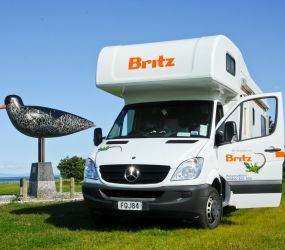 Britz Queenstown branch is located less than 1km from the picturesque Queenstown Airport - a great location to start exploring New Zealand. We also offer complimentary airport transfers on pick-up and drop-off day. 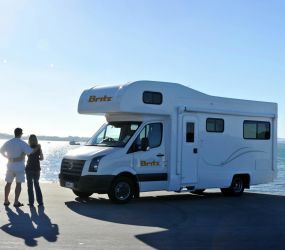 Book your motorhome, campervan hire in Queenstown with Britz today. 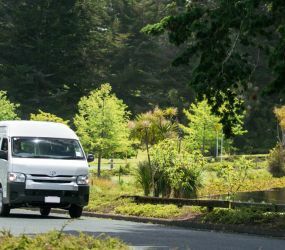 Our Queenstown shuttle operates from 8am to 4:30pm. Monday to Sunday. It is available on request and can fit up to 7 people. On arrival at Queenstown Airport, head out the main entrance to the Commercial Transfers area and use the Freephone located there to call us. You will see instructions to press 809. Once you dial, you’ll be given three options; press “Require Assistance” and this will put you directly through to the Branch for pick up. If you wait here, the silver shuttle with maui, Britz & Mighty decals will be there within 10 minutes. 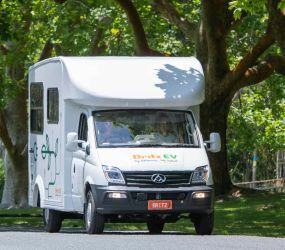 An additional location fee of NZ$95 applies to all motorhomes picking up or dropping off in Queenstown. If the pick up and drop off occurs in the same city, only one location fee will apply. Queenstown Top 10 Holiday Park "Creeksyde"